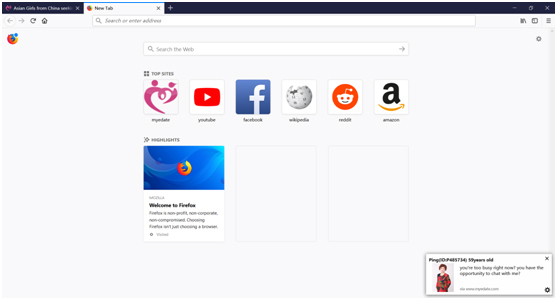 Firefox doesn’t allow you to disable all web notification prompts in its normal Options window. You have to change this setting from the hidden about:config page. To access it, type about:config into Firefox’s address bar and press Enter. 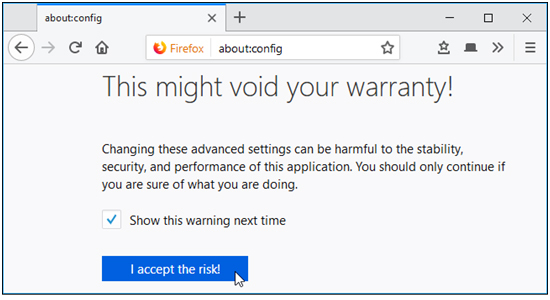 Firefox will display a warning telling you to be careful when using the about:config page, as you could cause problems with Firefox by changing some settings. However, if you just change the setting we recommend here, you won’t run into any problems. Click “I accept the risk!” if you’re ready to continue. Type “notifications” into the search box. Double-click the dom.webnotifications.enabledoption that appears. This will change the setting to “false”, which means web notifications will be disabled in Firefox. This change will completely disable all web notifications, so you can’t choose to receive notifications from one or two websites while preventing other websites from asking to show notifications. To undo your change if you want to see notifications in the future, return here and double-click the dom.webnotifications.enabled option to set it to “true” once again.